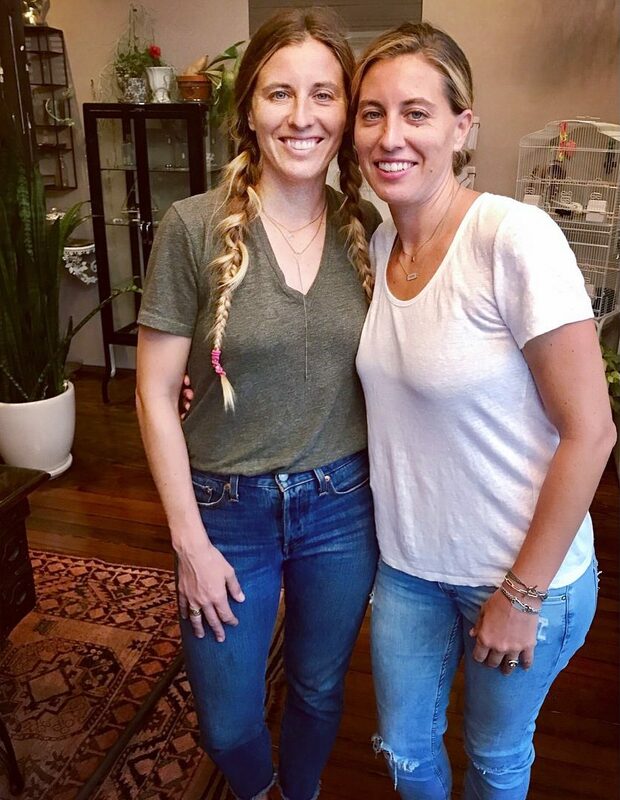 nicole and amber of workhorse jewelry came to visit! 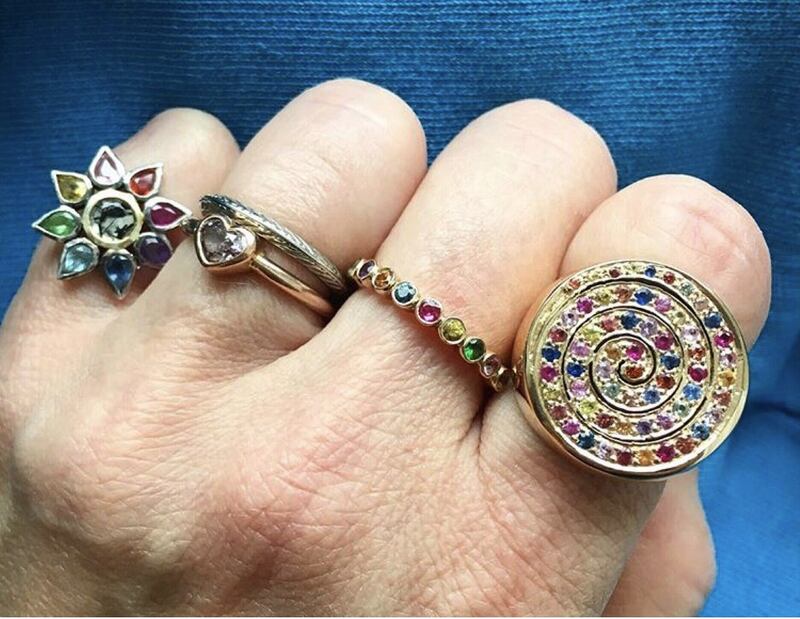 while catching up over jewels, we picked out new gems from their latest collection for the shop!! quinn of course snagged the ‘quinn’ necklace and i picked a swallow ring for myself. it’s moment’s like this that i truly know how lucky i am to call this my job. she bee jewelry now has a place here at talulah.cooper! to say that this was a serendipitous partnership is an understatement. (shoutout dana!) cheers! hard to believe it’s been three years since we opened. to say that i love my job is an understatement and our team (aka quinn who is pictured) is a rockstar! here’s to many more years with you babes. love, love, love. 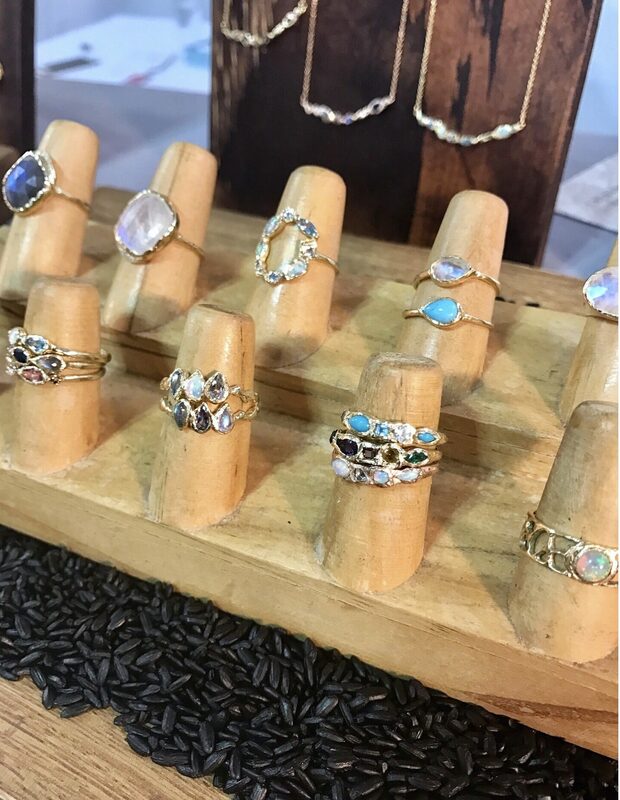 hand sculpted in los angeles, this jewelry line had me at first sight. 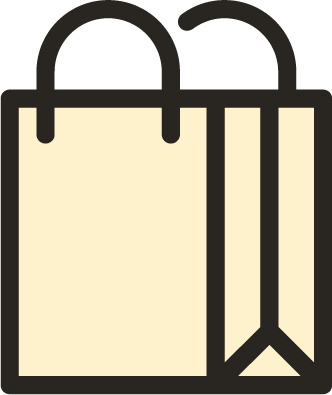 a fantastic addition to the shop- come check it out! 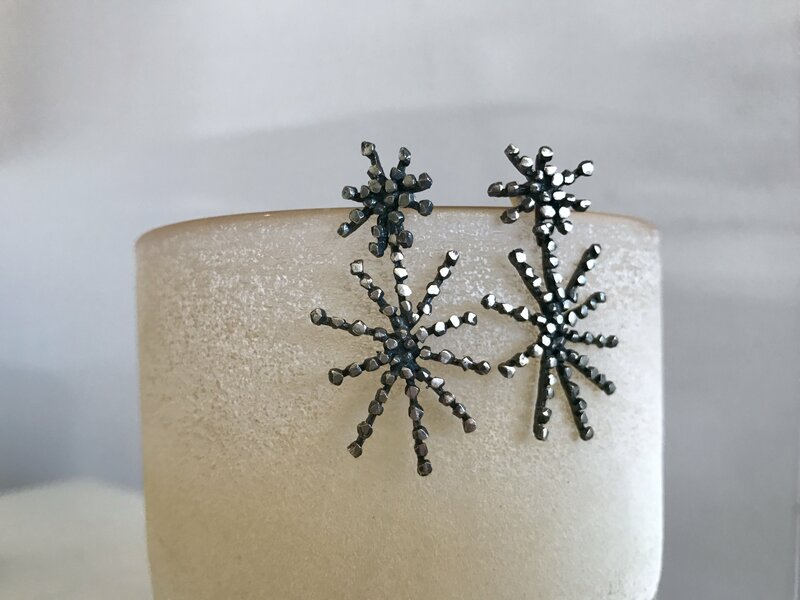 appropriately named ‘starburst’ these earrings are made by a talented risd grad and jeweler, priya himatsingka! she’s local and we’re loving having her line in the shop; online shortly. back in stock! and perfect for your galentine! by the badass erica weiner, these heartbeats necklaces are a store fav. 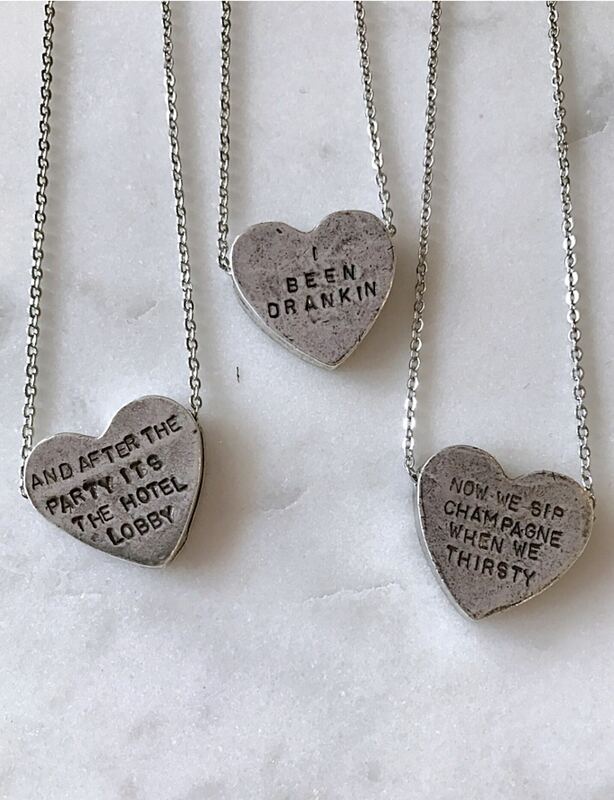 stamped with song lyrics, our fav “we sip champagne when we thirsty”, because, well, champagne. eye had to have it! 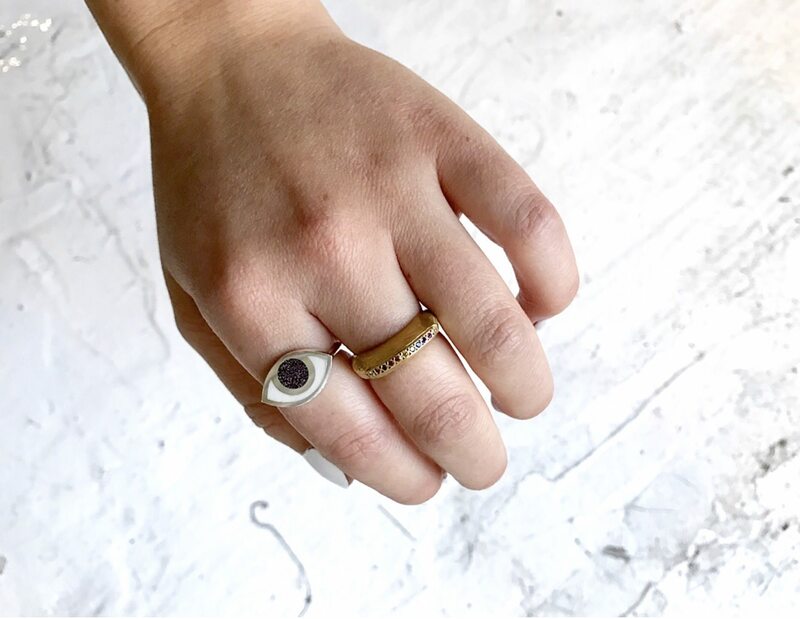 we’re currently obsessed with this eye ring by a brooklyn based designer named marta pia!! her collection will be in store and online very, very soon. happy new years y’all! took a mini vaca after the new year and the t.c squad is back in action. 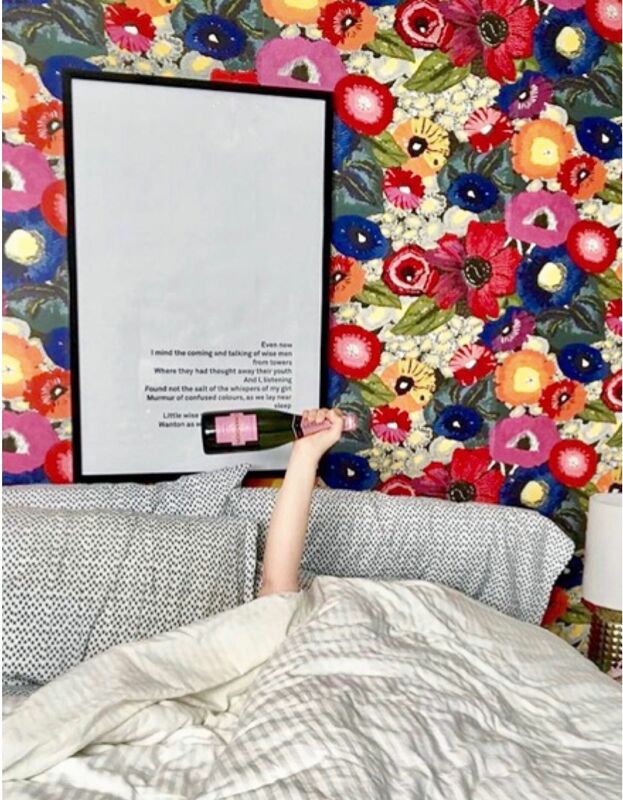 cheers to all that lies ahead!